Do you find yourself getting really anxious, fearful, or even frustrated when you start focusing on your desire for a Christian relationship? 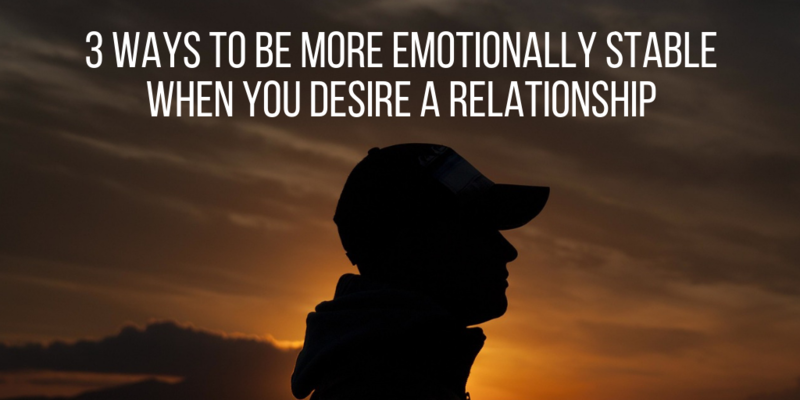 Here are 3 ways you can control your emotions better when you desire a Christian relationship. One of the most important ways you can control your emotions is by first controlling your motivations. Our motives are the foundations for what we do, say, and feel. So if you want to know why you are feeling a certain way about a relationship desire, you have to get to the root issue which is your motives. Do you desire a relationship so you will feel valuable as a person? Do you desire a relationship so you will feel like a beautiful woman or a strong man? Do you desire a relationship because you think marriage is the only thing that could ever make you happy? If motives like these are the reason you want a Christian relationship, your emotions will always be unstable. Why? Because whatever you give the power to validate you, you also give the power to invalidate you. Whatever you give the power to make you happy, you also give the power to make you unhappy. Whatever you give the power to make you feel loved, you also give the power to make you feel unloved. If you are giving all the power to a relationship, you will live and die by this relationship; thus your emotions will always be tied to this relationship which is why you will be so unstable if this is your motive. If you think the relationship is going well, you will be super high. If you think it is going bad, you will be super low. Your emotions will be tied to your thoughts about this relationship. The big mistake is to now say, “So the only reason to find emotional stability is to not want a Christian relationship.” This too is wrong. The Bible nowhere condemns a desire for marriage. Rather, the Bible instructs us to make sure our motives are always pure in everything we do. So the key to controlling your emotions better when you have a desire for a Christian relationship is to desire a relationship for the right reasons. If you desire a marriage so you can glorify God through this relationship, your emotions will be much more stable because God’s glory will be the center of your heart and not a human relationship. For more on this you might really enjoy a course I am offering in AGW University called Heart Check: How to Prepare Your Heart for the Blessing a Christian Relationship. 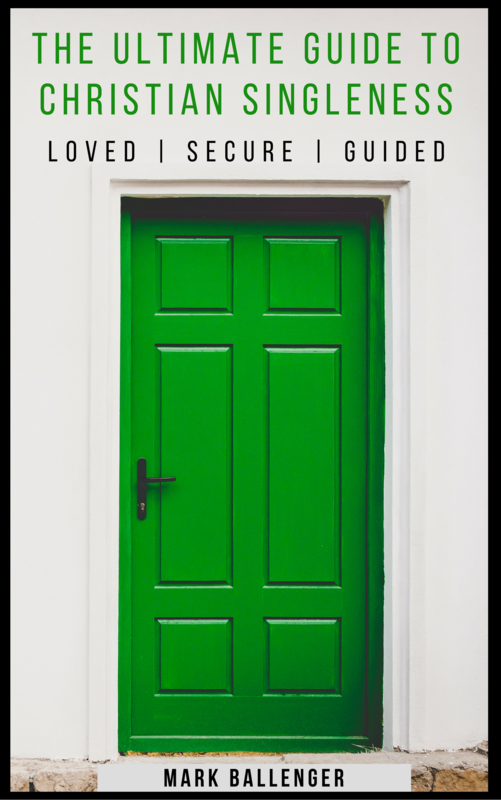 This course is 10 classes long and will give you the foundation you need to enter into a Christian relationship in a healthy way. For more info on this course and the two other courses I am offering, click here. The key is to be hopeful without expecting a particular future to come true. When you start believing you know what God will do in a future relationship, your emotions will get out of balance when that future seems like it might not happen. One of the biggest mistakes Christians make when it comes to relationships is that we start asking God to give us a specific person, at a specific time, and in a specific way. Our prayers become consumed with asking God to give us what we want. It’ certainly not wrong to ask God for what you want. That’s good and right to do; but prayer is less about telling God what to do and more about learning what God wants us to do. Your emotions will always be out of control if you spend your life trying to get God to do exactly what you want. Rather than dictate what God should do, we will only find peace when we switch our focus from telling God what to do and focusing more on asking God to reveal what he wants us to do. God already has a plan for your life and your job is now to follow God’s plan for your life. We don’t make the plan; as Christians are aim must be to follow God’s plan. So if you want to manage your emotions better in your season of Christian singleness or dating, you have to stop trying to get God to meet your expectations. If you focus more on following God’s plan you will have much greater control of your emotions. It’s good to ask God for the things you want, including for a Christian relationship. But the peace we seek will not ultimately come when God gives us what we ask for. Rather, as Philippians 4:7, promises, emotional stability and peace will only come when our hearts and minds are completely guarded in Christian Jesus. So if you really want to control your emotions better in the context of your desires for a Christian relationship, you have to focus more on God rather than the person you like. God must always be your center if you want true and lasting peace.